A screen shot of the new IPMinfo app. 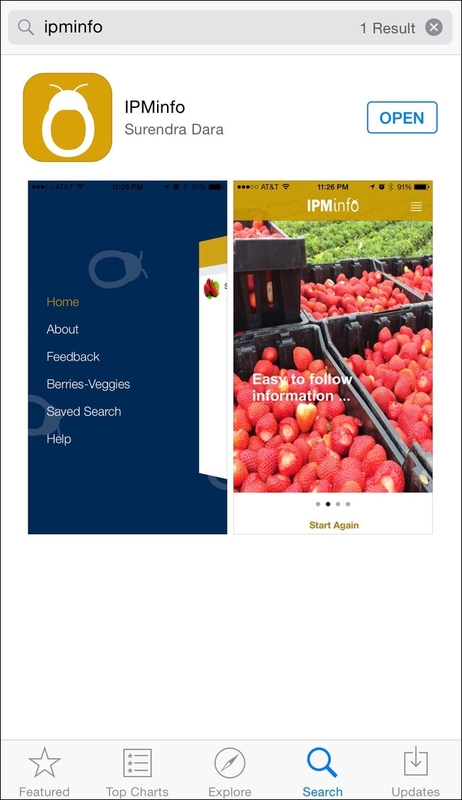 IPMinfo, the first app from UC Agriculture and Natural Resources (UC ANR) that provides integrated pest management (IPM) information to farmers, is now available for free download for iPhones on the App Store. The current version of the app contains information on invertebrate pests and diseases of strawberries and gives agricultural professionals easy one-touch access to quick summaries of various pests, pictures to help identify symptoms, and links to additional resources. 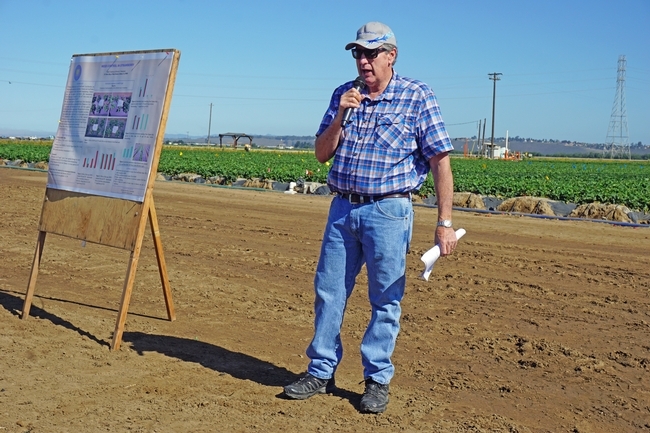 Extending research information is an important part of UC ANR Cooperative Extension. As communication technology is advancing every day, using modern channels of communication are important for successfully reaching out to growers, pest control advisers (PCAs), and other key players of the agriculture industry. 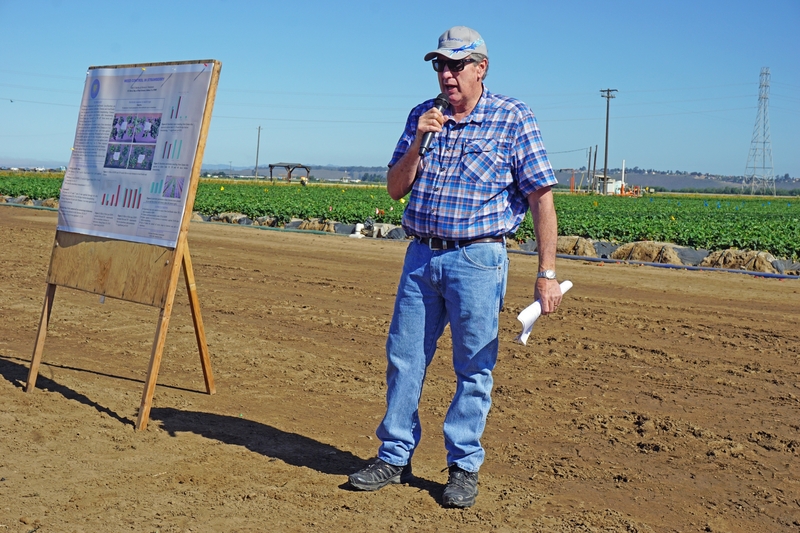 Traditional newsletters (Central Coast Agriculture Highlights), blogs (Strawberries and Vegetables and Pest News), Facebook, Twitter (@calstrawberries and @calveggies), Tumblr, and online repositories of meeting handouts and presentations are some of the tools that play a critical role in making important information about the Central Coast strawberry and vegetable extension program readily available to the agricultural industry. The popularity of smartphones has made this information even easier to access. 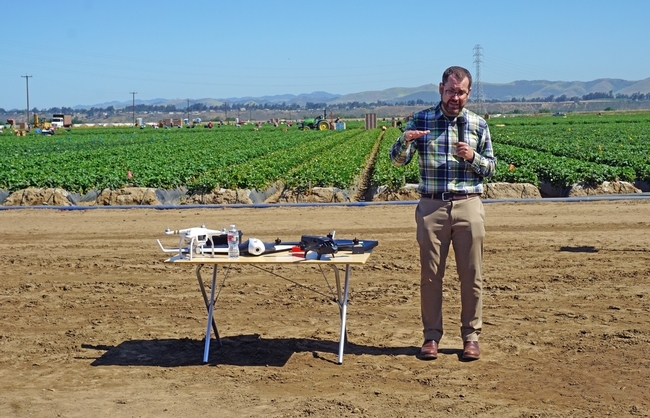 Smartphone applications are becoming popular in agriculture to provide information and for decisionmaking. However, because there were no such applications to help California strawberry and vegetable growers, IPMinfo was developed. The first version of the app was released in December 2014 and an updated version was released in April 2015. Growers can find information on invertebrate pests, including as aphids, cyclamen mite, greenhouse whitefly, lygus bug, spider mite, and western flower thrips. Diseases include angular leaf spot, anthracnose, botrytis fruit rot, charcoal rot, common leaf spot, fusarium wilt, leaf blotch and petiole blight, leather rot, mucor fruit rot, phytophthora crown rot, powdery mildew, red stele, rhizopus fruit rot, verticillium wilt, and viral decline. Each pest entry has information on biology, damage symptoms, and management options with associated photos. Links provided in the management section will take the user to the UC IPM website for more detailed information, especially about various control options. To download the app on iPhones, go to the App Store and search for IPMinfo. 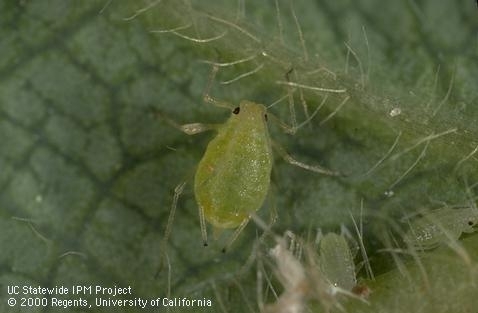 The strawberry aphid is one of the pests included in the new app. Can compost be an alternative to methyl bromide? 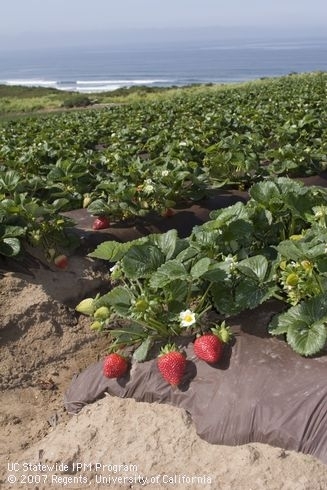 Strawberries growing near the Pacific Ocean. es, including the soil fumigant methyl bromide, commonly used by strawberry growers. Twenty-seven years later, the realities of enacting the Montreal Protocol are still taking shape, and strawberry growers are, with each harvest year, a step closer to a complete phase out of the fumigant and increased restrictions on alternative chemical fumigants used for disease suppression. UC research has focused on how to make an economically viable and effective transition away from the soil fumigant. 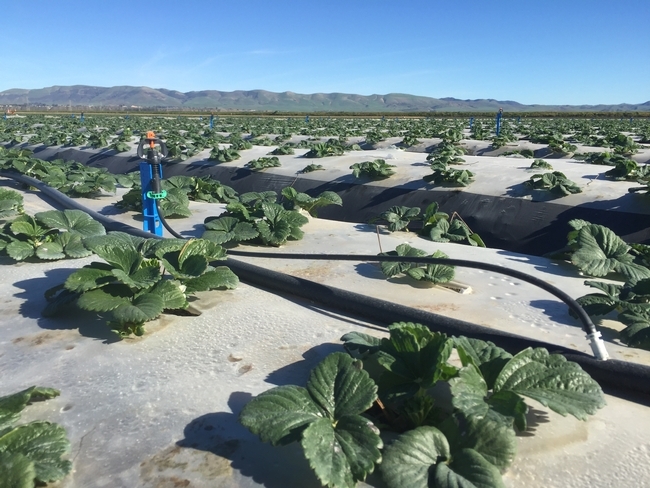 Initial alternatives include replacement chemical fumigants as well as biological fumigants such as anaerobic soil disinfection (such as putting tarps over fields to decrease oxygen), mustard seed meal amendment, or steam disinfestation. But what if a practice many growers already use could also serve to suppress soil-borne diseases? 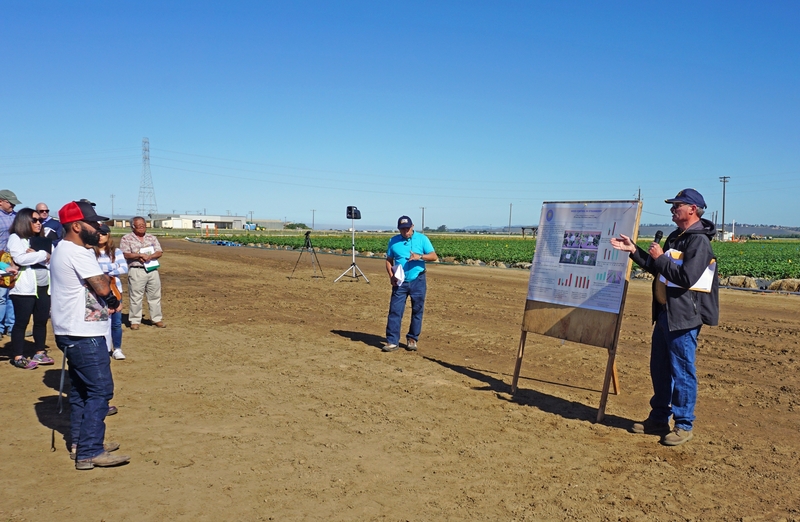 What if growers could use a substance that provides multiple on-farm benefits? Many conventional and organic growers alike use compost to boost soil fertility and organic matter. But compost's potential to serve other purposes, including suppressing disease, remain largely unexplored. Ph.D. student Margaret Lloyd and Tom Gordon, professor in the Department of Plant Pathology at UC Davis, are hoping to close the gap in that knowledge. 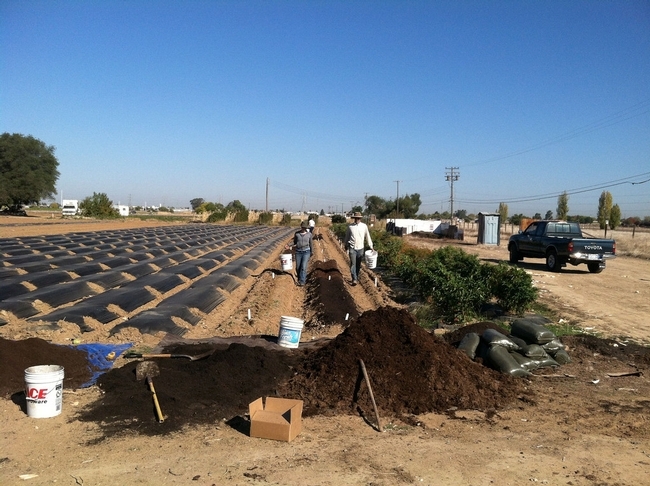 With a grant from the National Strawberry Sustainability Initiative, a program administered by University of Arkansas and funded by Walmart Foundation, and funding from UC Sustainable Agriculture Research and Education Program, Lloyd's research seeks to understand whether compost can contribute to disease suppression on a commercial scale, and how growers can best incorporate compost into their farm management to see its benefits. 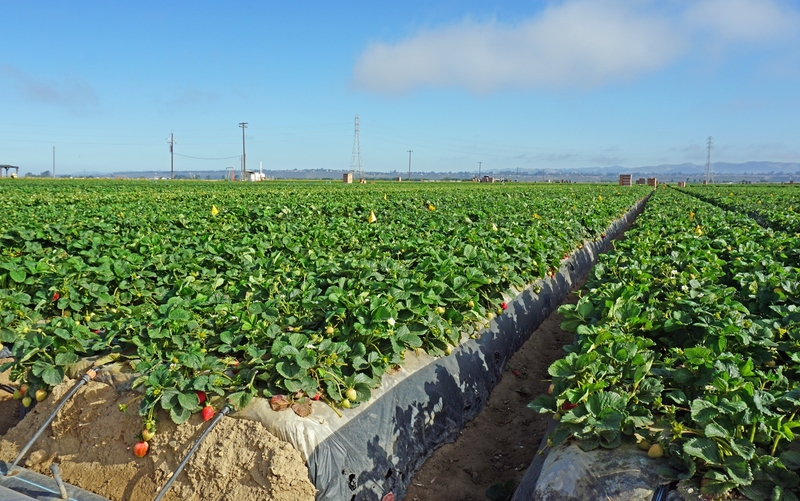 The study evaluates the root health of strawberry plants, and compares plant yield and disease suppression across a number of research sites and compost types. eet their farm needs.” Composts used in the study include worm compost, manure-based compost, spent mushroom compost, and municipal yard trimmings compost. Alternatives to methyl bromide have been a long time coming. “The research suggests that it won't be one technology replacing another, but a package of tools to help growers manage disease suppression in the soil,” Lloyd said. If some of those tools are already in a grower's tool kit, the transition away from fumigants will be that much smoother. The research suggests a powerful Earth Day message for me: use what you have, but seek a deeper understanding of just how to use it. 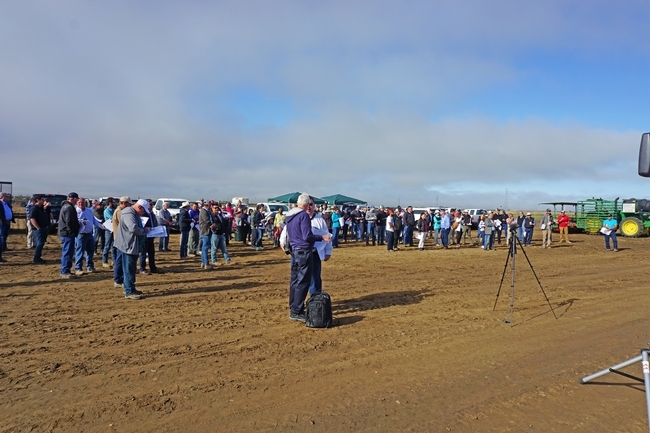 Lloyd's research findings will be completed in 2014, with results available for growers in 2015. Visit the project's website for more information.